This blog was originally published on the Willis Towers Watson Wire, September 7, 2017. Michelle is the Global Product Leader for Willis Towers Watson's HR Portal Express software. 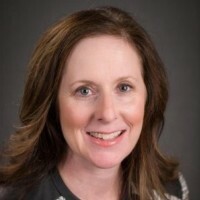 With over 20 years of Human Capital Management (HCM) experience, Michelle has lead the creation of market-leading, award-winning software solutions spanning the wide domain of HCM including human resources, payroll, talent acquisition, talent management, health care reform and analytics.